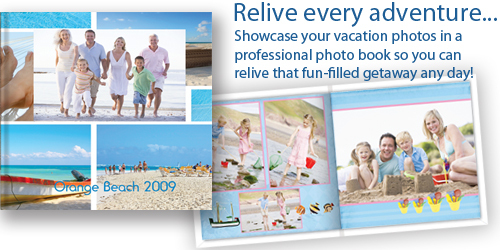 Create photo book or photo album at Photogalley with unlimited design flexibility! Upload your pictures, select the theme, and place order! With three easy steps, you can have the professionally bound photo books in your hands in just a couple of days! Or, you may just want to share this book with your family and friends or our photogalley community free of charge, this is all your choice! Sizes Start at: 5.5" x 8.5"
Making a photo book is fun and easy with Photogalley free photo album program!. With hundreds of photo book themes, thoundands of backgrounds and design stickers, making photo book and photo album online is incredibly easy and fun. 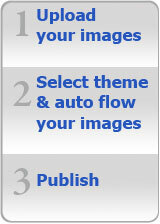 Just upload your pictures, auto flow the pictures into our templates, you can have a photo album done in just minutes! 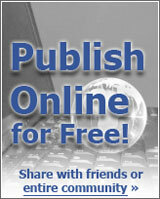 You can either share the book online with family and friends free of charge. Or, you can select from soft cover and hard cover options to print this book from one copy to hundreds of copies. We offer 6 different sizes for your personalized photo book and photo album printing.